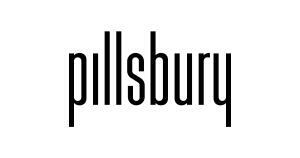 Patent Agent – Large Law Firm – San Diego, Calif.
Pillsbury, a global law firm, is seeking a registered Patent Agent or Attorney with a Ph.D. degree in a biotech science to join the Intellectual Property section in our San Diego North office. Candidates who meet the qualifications detailed below may apply on our website at https://pillsburylaw.wd5.myworkdayjobs.com/External. Resume and writing sample should be included. Primary responsibilities of the patent agent or patent attorney include drafting patent applications including specifications and claims in clear concise English, conduct interviews with clients to obtain invention disclosures, develop strategies for protecting inventions, review and analyze patent file histories, and database searching (e.g., keyword and sequence searches such as BLAST searches) and research in connection with IP diligence. This position will also be responsible for analyzing US and foreign Patent Office actions and preparing responses thereto, conducting examiner interviews, following the ethical requirement as set forth by the Firm’s professional liability insurer and performing necessary legal and technical research using all available resources including libraries and computer data systems. The position requires a Ph.D. in biological sciences, preferably immunology, virology, molecular biology, biochemistry, cell biology, or genetics, and be registered to practice before the U.S. Patent and Trademark Office. JDs with the same experience and technical background will be considered on a non-partnership track basis. Experience effectively managing a docket with multiple clients and deadlines, conducting legal and technical research and analysis in support of various patent-related matters and working closely with attorneys, other agents and staff is required. To be considered, candidates must be articulate, highly motivated and have at least 2 years patent prosecution experience at a law firm. Excellent academic performance is highly valued. This position has a billable goal. Pillsbury is an Equal Opportunity Employer. Qualified candidates should apply via this link https://pillsburylaw.wd5.myworkdayjobs.com/External.